Last year, I set out with PADI on a photo expedition to Kona, Hawaii to experience the famous Manta Ray Night Dive, and it was nothing short of magical. It is one of the most spectacular displays of wildlife that I have ever seen on a dive. 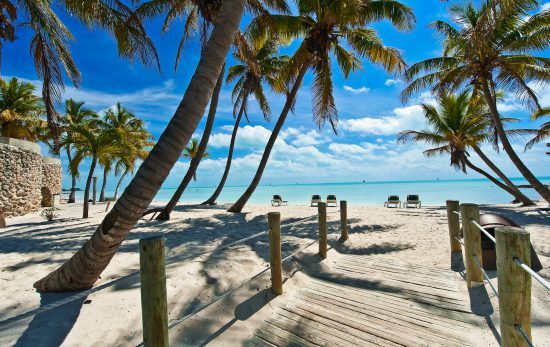 You will definitely want to check this one off the bucket-list! We ventured to Garden Eel Cove, nicknamed “Manta Heaven” and watched the sun set on the Pacific. 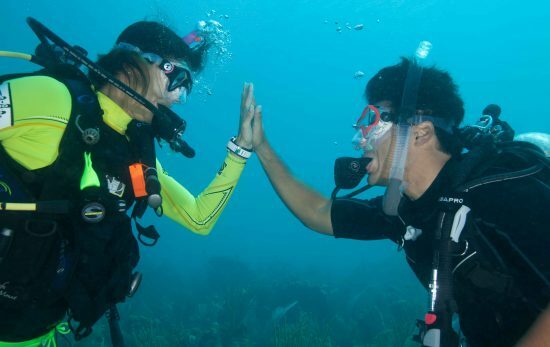 Vibrant hues of orange and red were eventually replaced by a full moon and stars—exhilaration filled the dive boat. 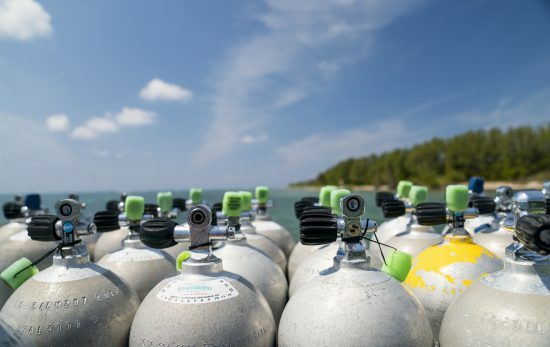 The PADI crew quickly geared up, assembled the camera equipment, and slipped into darkness. I clicked on my dive light and our group descended to the bottom of the seafloor. We kneeled in a circle and a bright spotlight and bucket of flash lights were placed in the center. The ocean had become a whole different world. Strange and beautiful nocturnal creatures emerged; minuscule plankton hovered over the beam of my light, bizarre-looking fish surrounded me, and an eel slithered across the ocean floor and eerily disappeared into the light bucket. 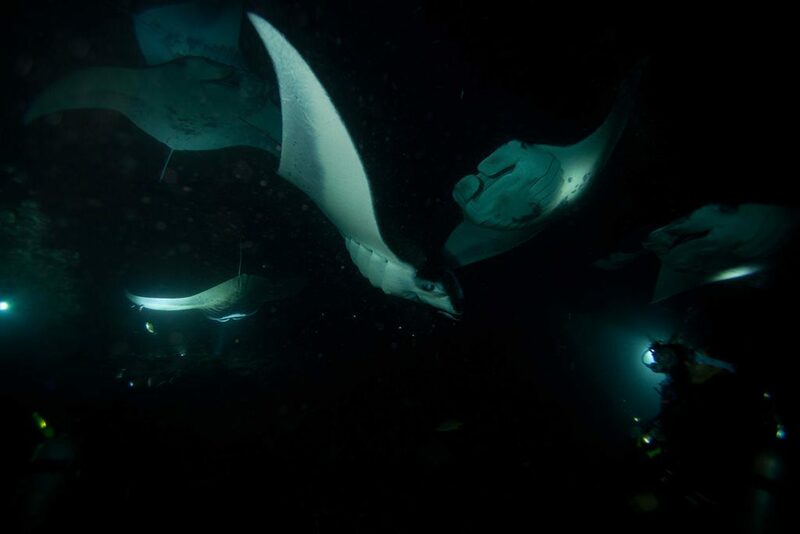 I had entered an underwater dreamland and as if on cue, manta rays began gliding toward us. Everyone squealed in excitement through their regulators. The ethereal rays moved through the ocean with such grace, ease, and precision that they almost appeared to be flying through the sea, using their pectoral fins as wings. First there were 2, then 6, and before I knew it there were 23 mantas swimming from every direction—we had gotten extremely lucky. They were elegant; swooping, back-flipping, and moving in mesmerizing patterns. The gentle giants were acrobats putting on a show for us, and everyone was captivated. 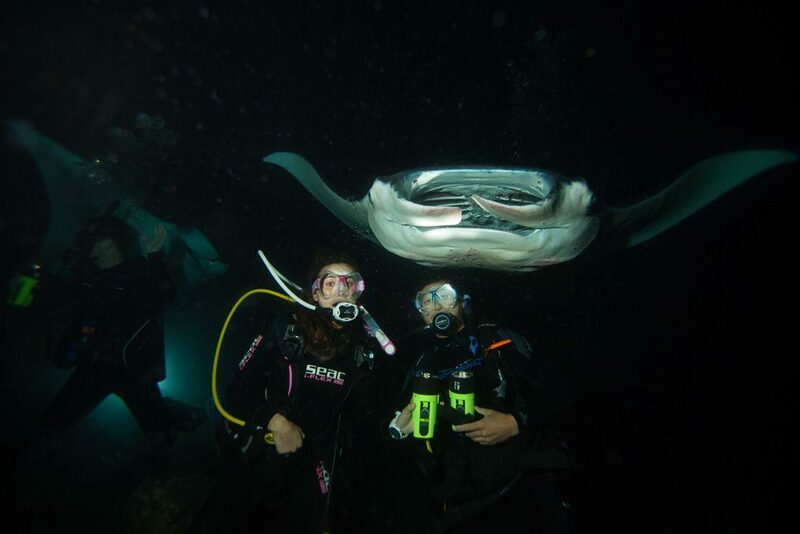 All of the sudden, a massive manta approaches us. 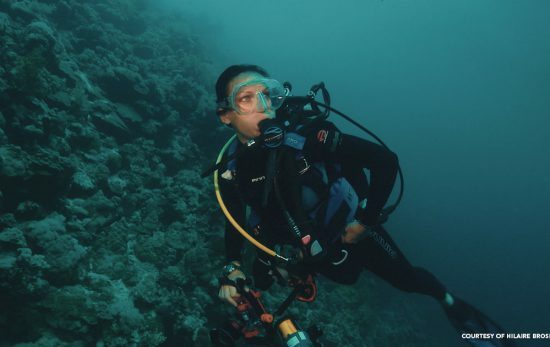 It comes face-to-face with me and my dive buddy, stares into my eyes inquisitively, and opens its large mouth—it inhales a mouth-full of plankton and at the very last second, soars right over my head missing me by just inches. I gasped a huge breath of air and was left in pure awe and complete wonder. This interaction happened continuously over the next hour and I when I finally surfaced, everyone came up grinning, feeling incredibly humbled by the ocean and thankful to dive so close to such large and majestic animals. 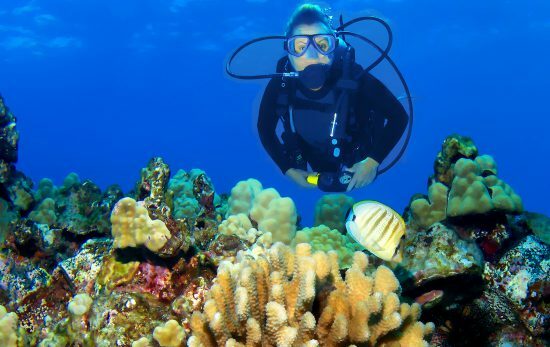 These captivating creatures frequent the Kona coast year-round and 90% of the time divers are able to experience them. Mantas are filter feeders, and appear to be most active at night when there are greater amounts of microscopic plankton to snack on. 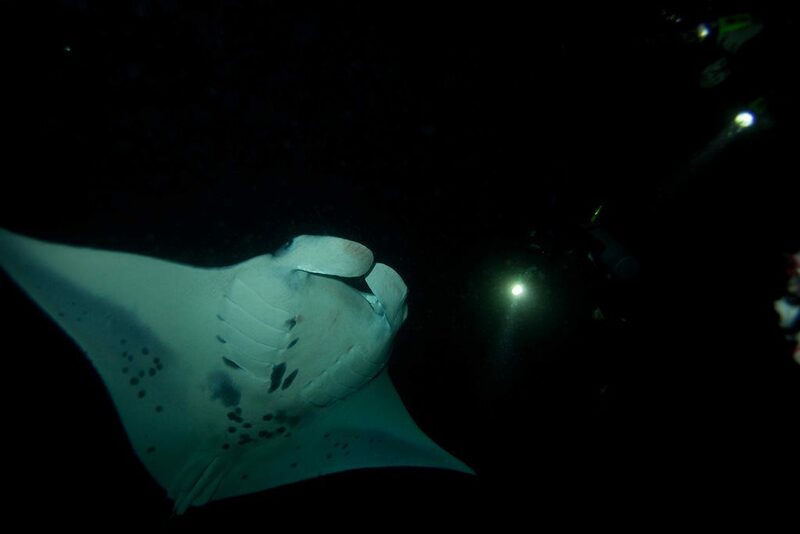 The illumination of the diver’s lights attracts the rich plankton which in turn draws the mantas. This giant pelagic has a wingspan of up to 20 feet and the largest brain of any fish. 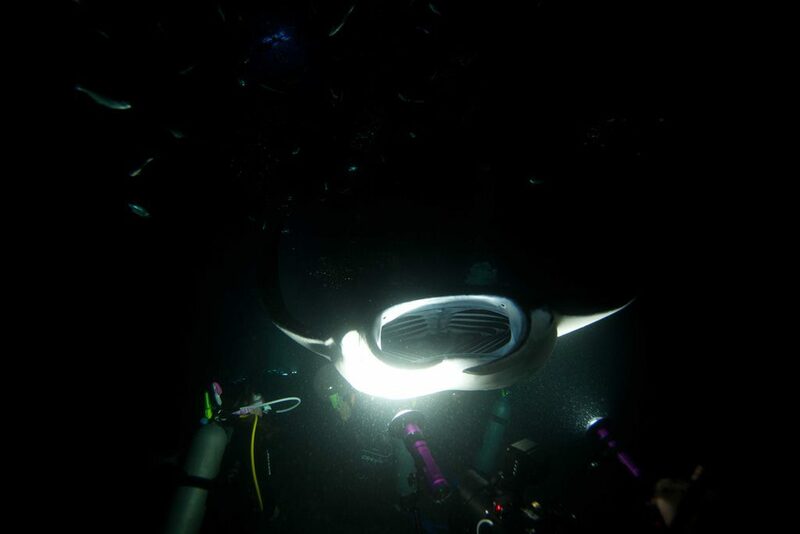 There is a still a great deal we don’t know about the manta, making them one of the most fascinating animals to encounter and a mysterious source of research. 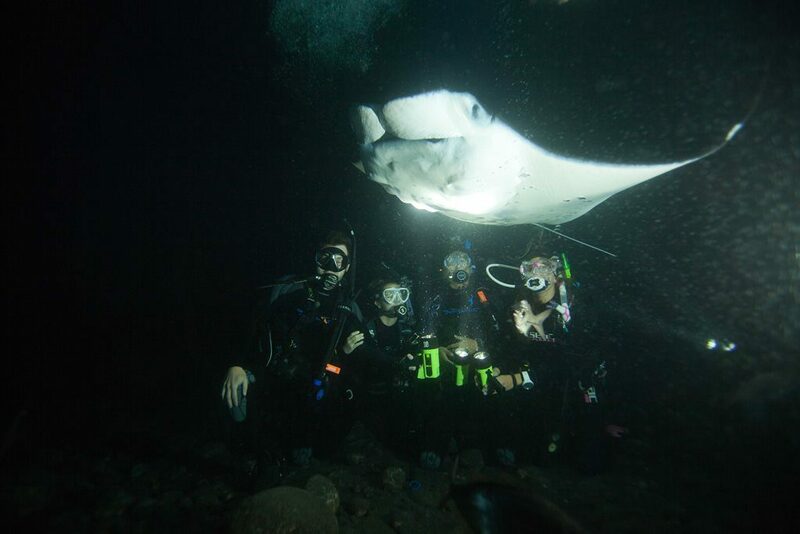 For more information about manta rays, check out this video, “Diving With Manta Rays“.